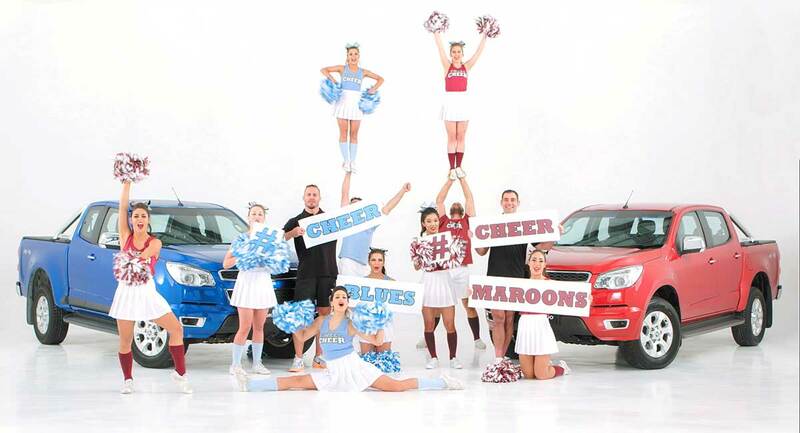 Isobar has developed #TweetCheer, a campaign that joins fans’ Twitter conversations to support Australian automaker Holden as the major sponsor of the NRL State of Origin rugby series. #TweetCheer encourages people to tweet in a cheer for their side, while the Isobar team stands by with a studio full of cheerleaders ready to dance, flip and cheer their tweet back to them with short videos in real-time. #TweetCheer directs State of Origin fans from all of Holden’s channels to Twitter during the live game. The conversation continues back on Facebook and Instagram afterwards with voting and prizes for the best cheers. In its first outing for Game 1 in Sydney on May 27, #TweetCheer reached over 4.5 million Australians. Isobar is using Twitter’s new live streaming app, Periscope for live behind-the-scenes aspect to the campaign. Users are able to tune in via Periscope to see the production process, Q&A with cheerleaders and tips on creating their own cheers. This is the first time that Periscope has been used by Holden. The teaser video will play throughout the live games on the big screen, prompting fans to cheer on their team from their seats. If brands move too quickly, they could lose a good brand ambassador. But if they are too slow to move, their own reputation and br..
"We believe this will effectively deliver our key brand messages and grow the confidence of consumers to choose EVA Air as their p.. The relationship gives W+K Shanghai full responsibility for overall brand communications, as well as digital and social projects i..
Kvist will drive Mindshare’s trading and investment strategy for the region..